Vince grew up on a farm in the middle of a forest in Italy. He was interested in motorcycles from a very young age because he was constantly surrounded by them. Vince raced bicycles until he was about 11 years old then got his first motorcycle. With his “Moto Morini”, the race was on! He moved to the United States in the early 70’s and immediately became hooked on the sport of drag racing. Vince has been married to his wife, Sheree, for 34 years. 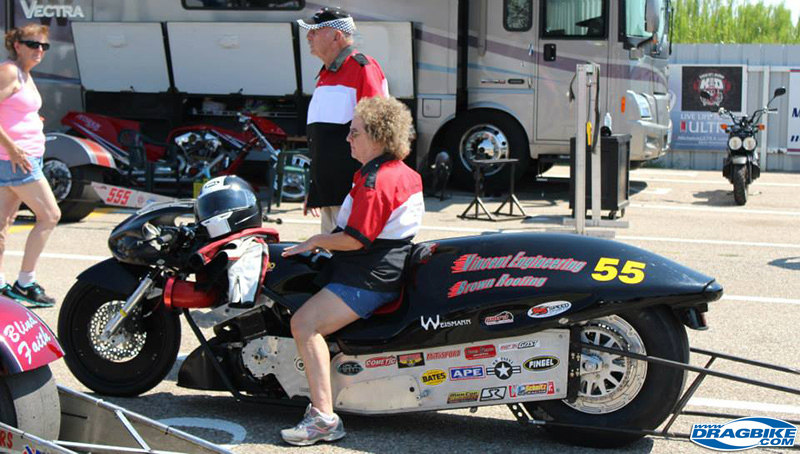 They started drag racing together from the very beginning of their relationship and she is extremely involved. Vince quite often refers to her as a “great crew chief”. 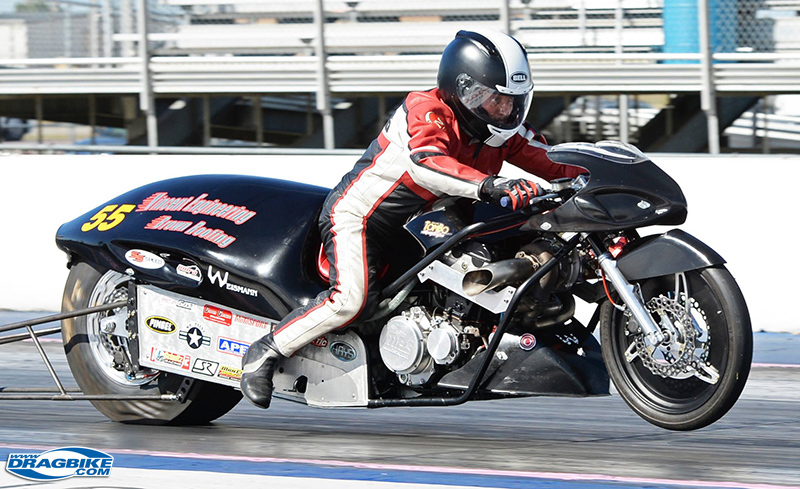 Vince has raced A/stock, AA/stock and currently races a Hayabusa Funny Bike. 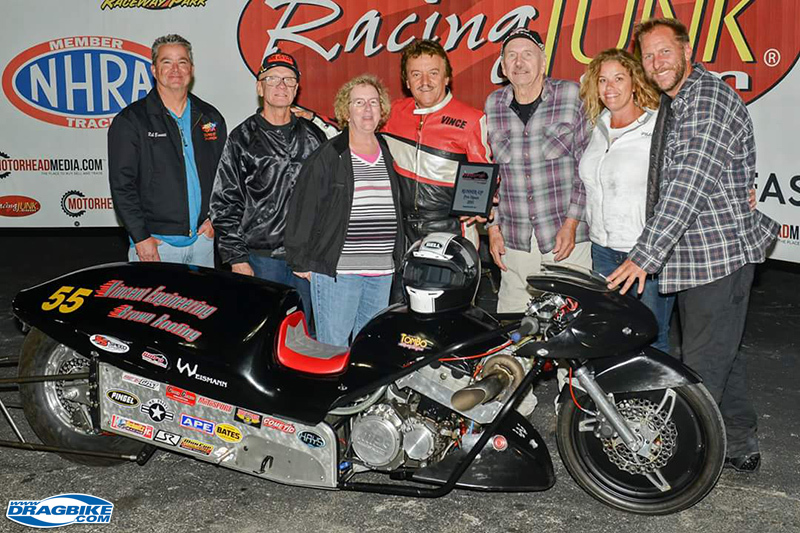 He competes in the Pro Open Class at races and on October 24th of 2015, he captured the new PMRA Funnybike record with an incredible pass of 6.452 @ 209.72MPH. 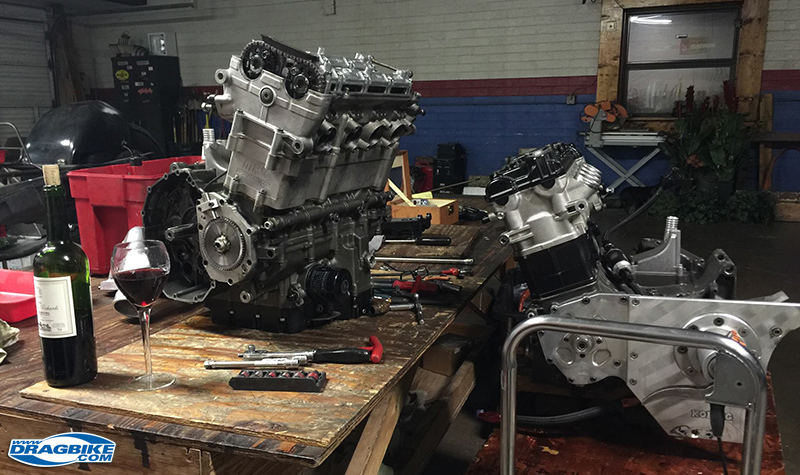 Look for Vince this year at events held by the PMRA and ManCup series, as well as some West coast racing in California. Vince hopes to continue racing his funnybike in the Pro Open class for a few years longer than Mr. Paul Gast! Vince has been a pilot for 35 years and has accumulated 1700 hours as pilot in command. He loves really fast sport planes like the Lancairs and Glassairs. 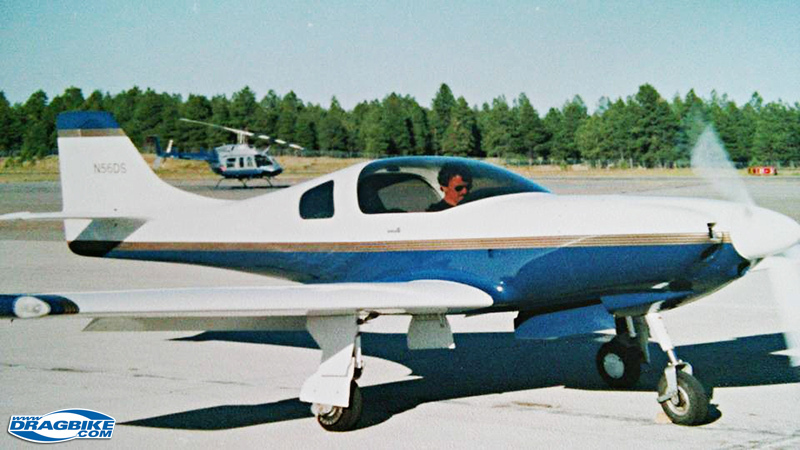 He owns a Twin-engine plane and has put about 150 hours on it. 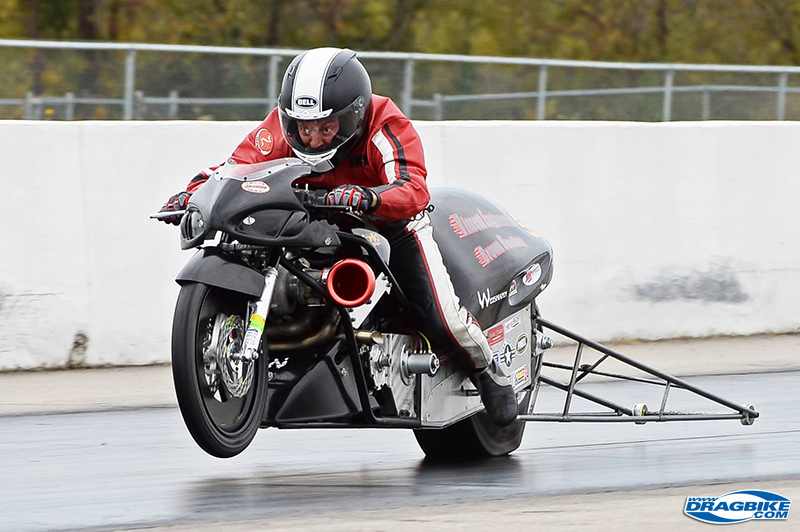 While he says he loves flying, it does not compare to the competition of motorcycle drag racing. Favorite Food: Italian, of course! Do you own a classic car or truck: No, I don’t like anything old!